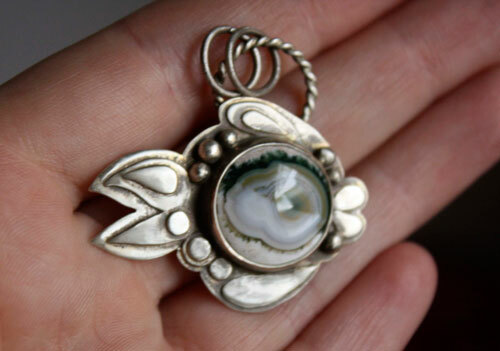 This is a custom order made from other pufferfish pendant we have made. 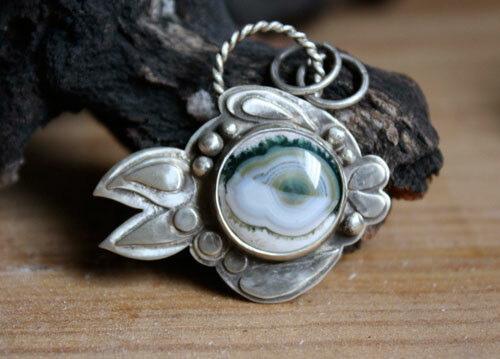 The only notable difference, the client has chosen ocean jasper as semi-precious stone for this pendant, in place of the old glass cabochon that we proposed. Pufferfish or Takifugu, or simply fugu, is a fish that filled with water to inflate its body when it feels threatened. Hence, it’s other name blowfish. It is known to produce a powerful poison that can cause severe poisoning, while being recognized as an exceptional dish, especially in Japan. In this country, only cooks with a special license given by the state can prepare it. 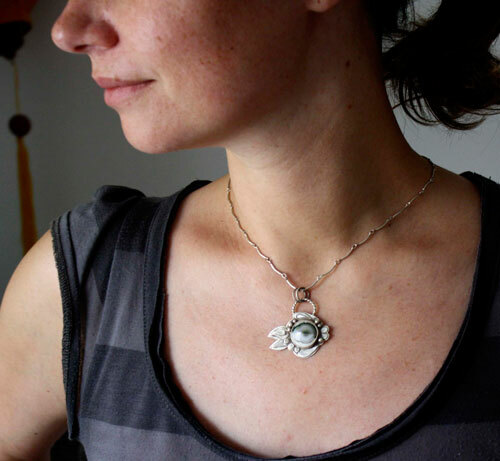 This blowfish is made of a multitude of tiny details that I sawed with a lot of patience in my sterling silver sheet. 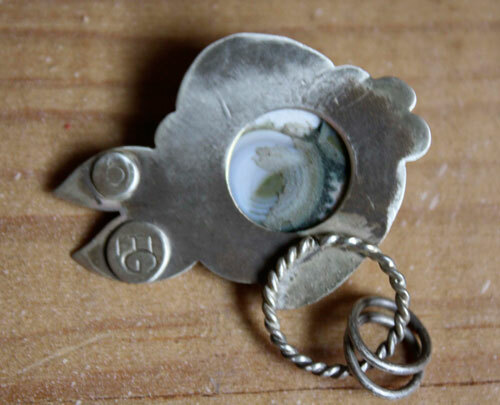 I soldered all these tiny bits to give a 3D effect and I also applied patina to strengthen the effect. 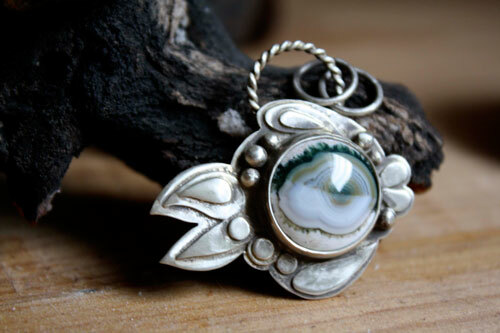 The eye of the fish is a ocean jasper cab that really gives the impression of being observed by this cute little animal. 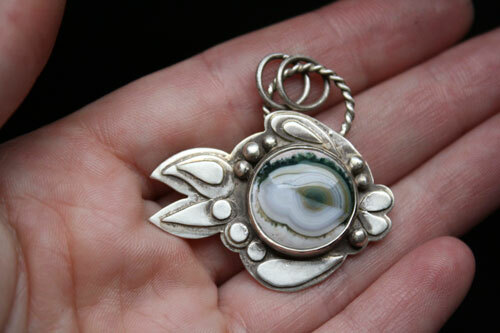 Tag: pendant, fish, sterling silver, 925, unique, cabochon, eye, relief, sea, maritime, wildlife, world, round, funny, animal, water, blue, green, black, kisses, ocean jasper, fugu, japan, gastronomy, fantastic, special, custom orders, original.